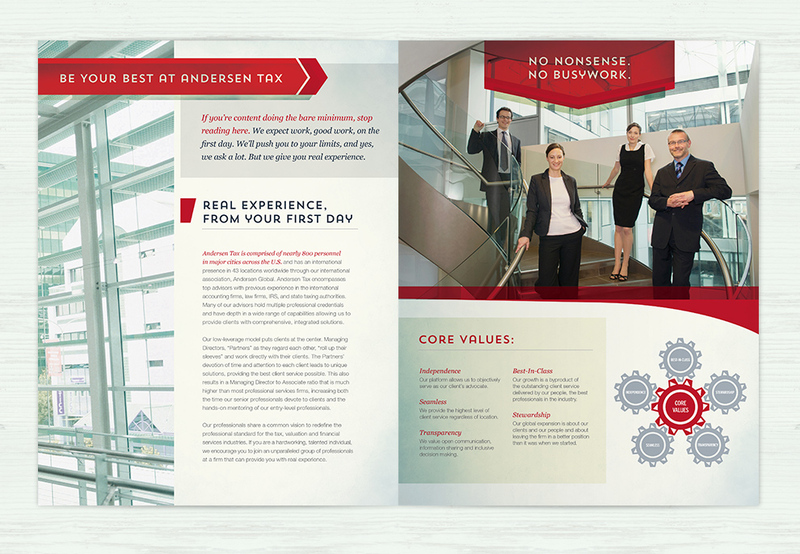 Based in San Francisco, but with 19 offices across the U.S. and many others across the globe, Andersen Tax is one of the largest tax accounting firms in the country. 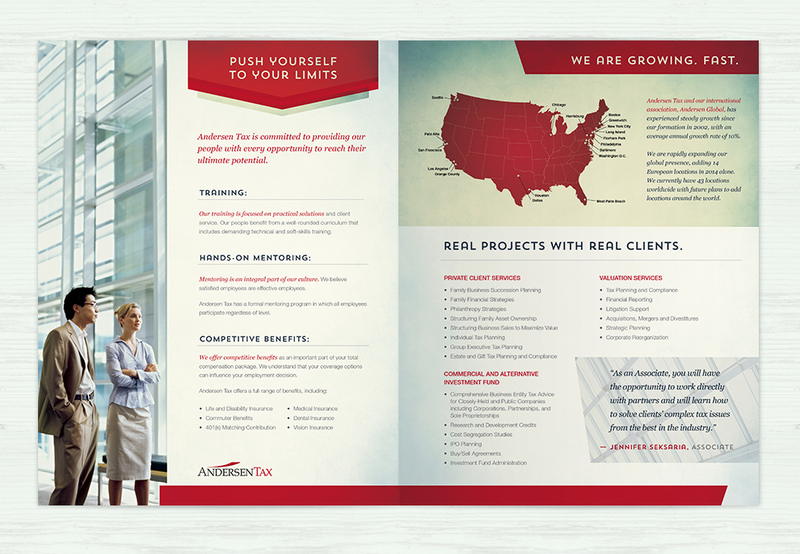 Among the many projects we work on for them, we recently rebranded their recruiting efforts starting with this brochure. 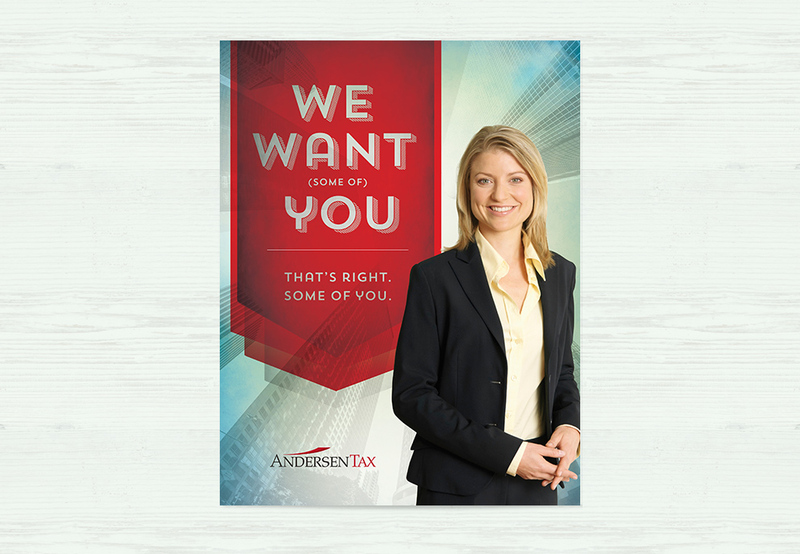 Look for us to soon be posting their new recruiting website.